ConocoPhillips is promoting a collaborative project between research communities, the maritime industry and the Research Council of Norway. 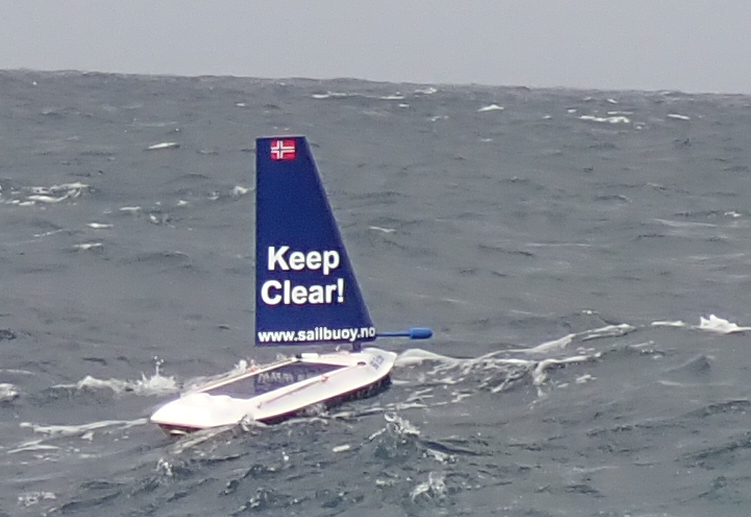 Small autonomous vessels collect data from large sea areas. Three unmanned, autonomous vessels - called gliders - have spent the late summer collecting environmental data from the Norwegian Sea west of Nordland County. They followed GPS-based routes on the sea surface and in the water column. The gliders can collect large amounts of information that is traditionally obtained on costly expeditions using large research vessels. The gliders are equipped with sensors and equipment for acquisition of chemical, physical and biological ocean and atmospheric data. These sensors provide continuous measurements of weather, waves, currents, temperature, salinity, O₂, CO₂, pH, ocean acidification, marine algae, animal plankton, fish fry and marine mammals. 2017 is a year of testing. The vessels have been collecting data in the ocean west of Sandnessjøen and Bodø during August and September and will be operating at sea again in 2018, between March and October. Gliders are the size of a surfboard. They follow pre-programmed routes and depths, and collect data which is stored on board or sent via satellite to the base station onshore where they are monitored by the project manager, the research institute Akvaplan-niva. During the summer, the gliders travelled 4,500 kilometers in total. "We find it very interesting to take part in this project. There is a huge market for the use of this technology which combined with a knowledge of oceanography and biology helps us to make optimal use of the sea’s resources and effectively manage our maritime industries,’ says Salve Dahle, Managing Director of Akvaplan-niva. Three types of gliders have been used, each with somewhat different characteristics. Two of them travel on the surface, one using wind propulsion and the other using waves. The third utilizes balance and buoyancy in the sea, which makes it possible to collect data as far down as 1000 meters. "Our interest in the project is linked to the need for thorough environmental surveys in connection with potential activity in vulnerable areas of the ocean. We see that the potential of such seagoing vessels is considerable, and have therefore included the project in our research portfolio,’ says Ole Lindefjeld, Research and Development Director in ConocoPhillips Norway.